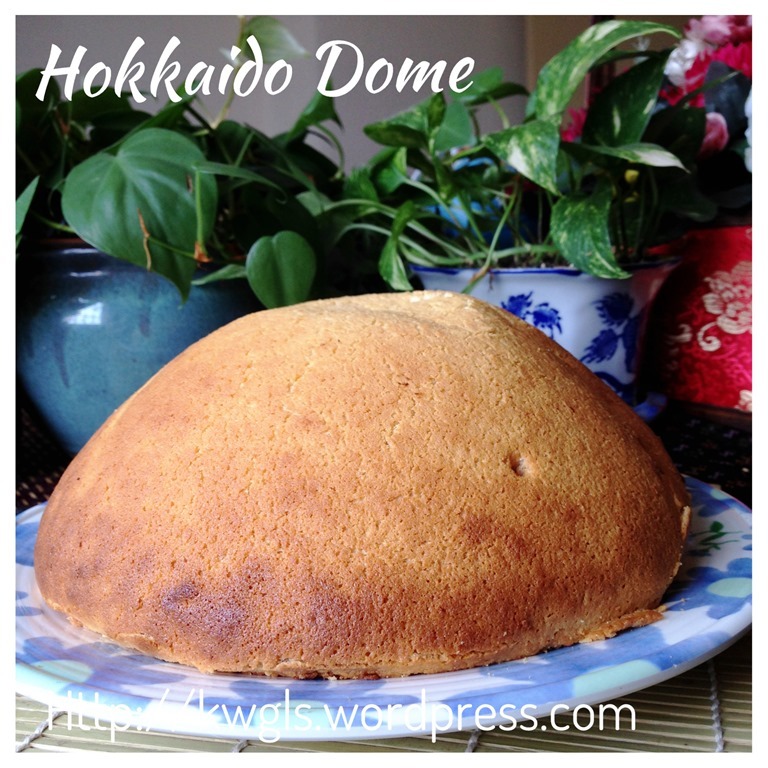 In last year, Singapore bakery have a new item called Hokkaido Dome. 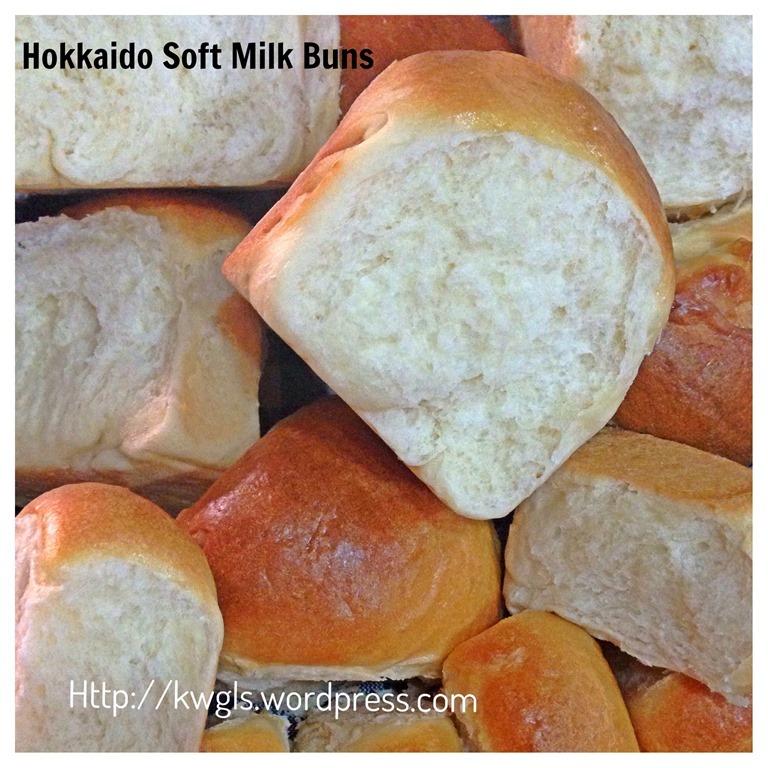 It started by a famous bakery and soon followed by many local bakeries. 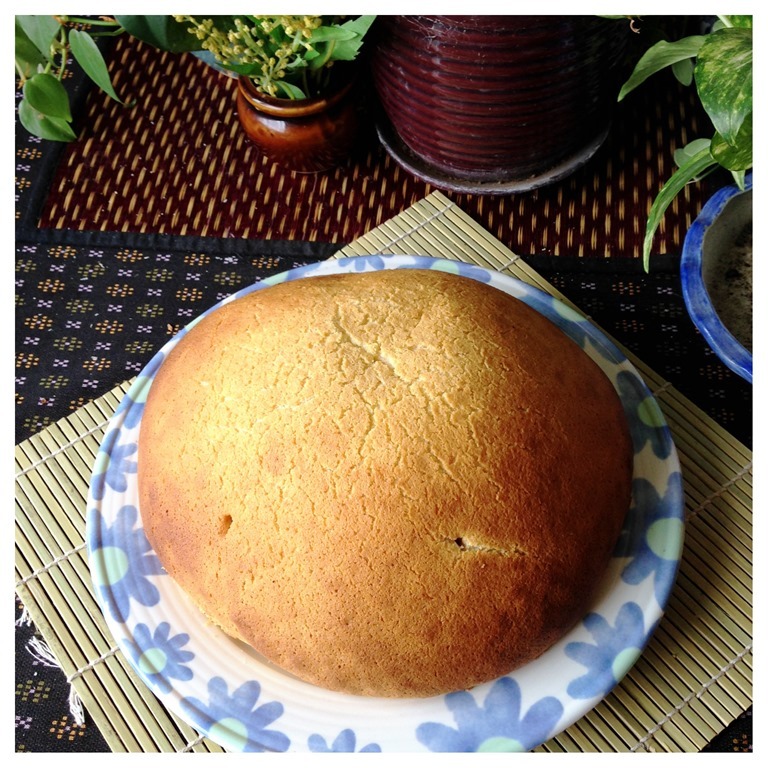 It is a big mass of bread top with some soft cookies dough like the Mexican coffee buns. 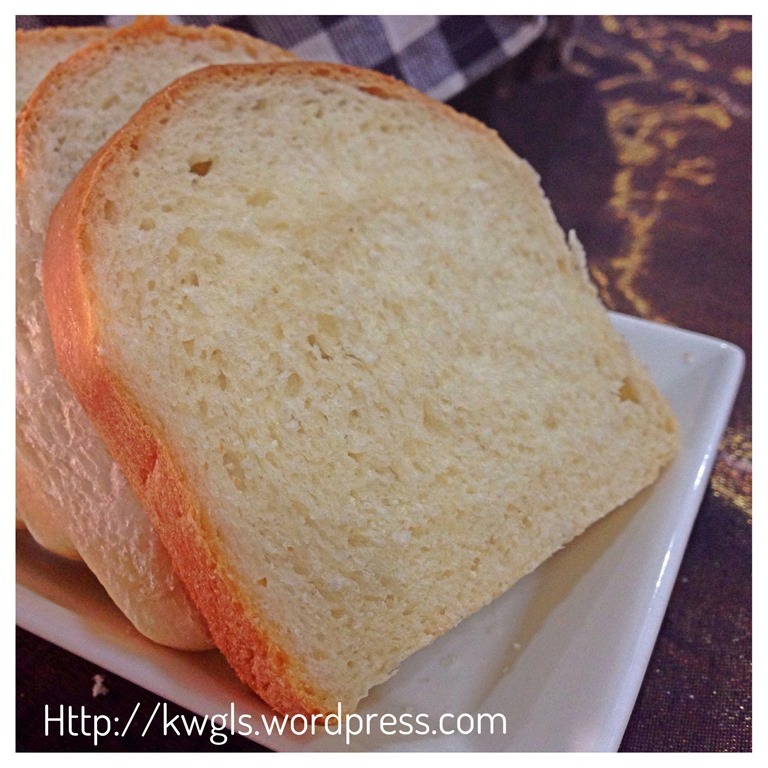 It was a hit and I am searching for a recipe for the this special bread. 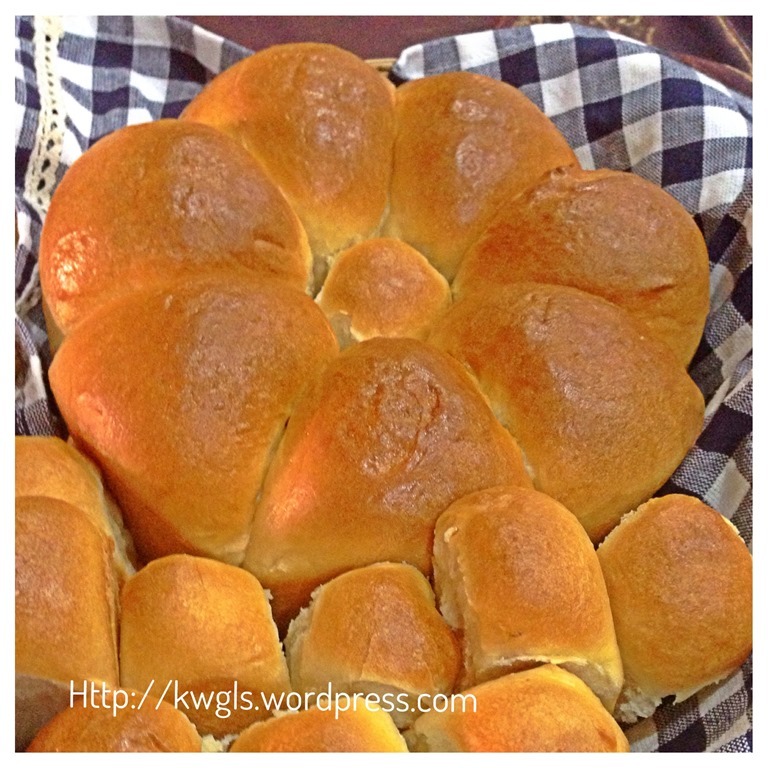 Since I can’t find a recipe for this bread, I have decided to replicate this bread today based on this recipe. 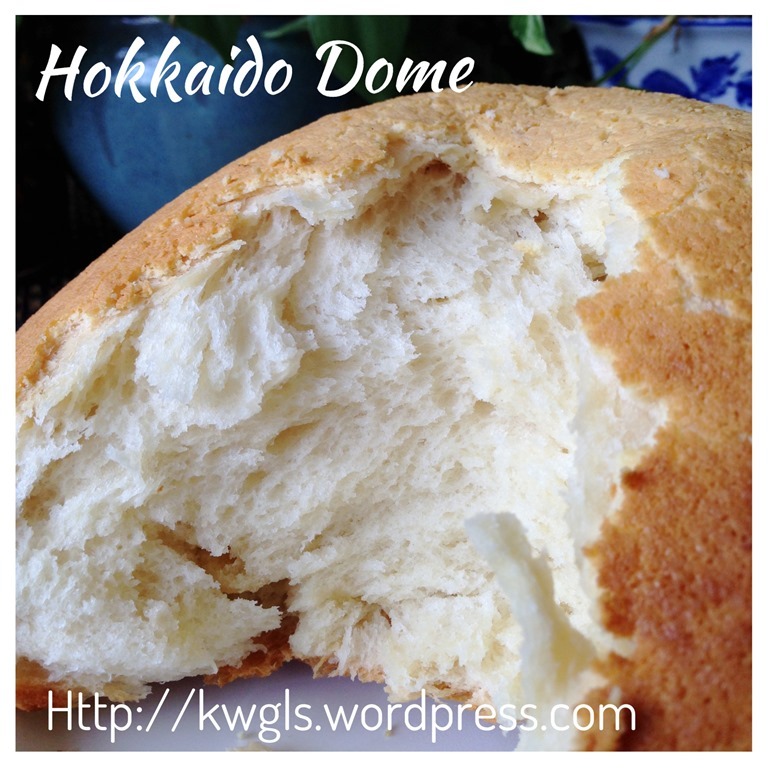 Please scroll down towards the end for an update post with the inclusion of Hokkaido Dome. 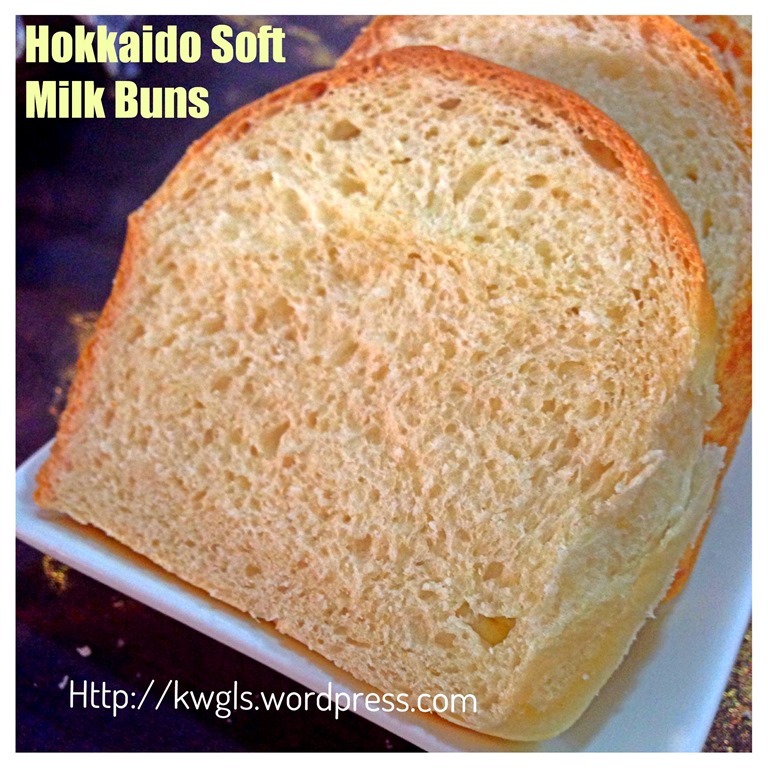 Much have been said about the Hokkaido Bread about its softness and bloggers have been blogging and “promoting” this bread for its softness and tastiness. 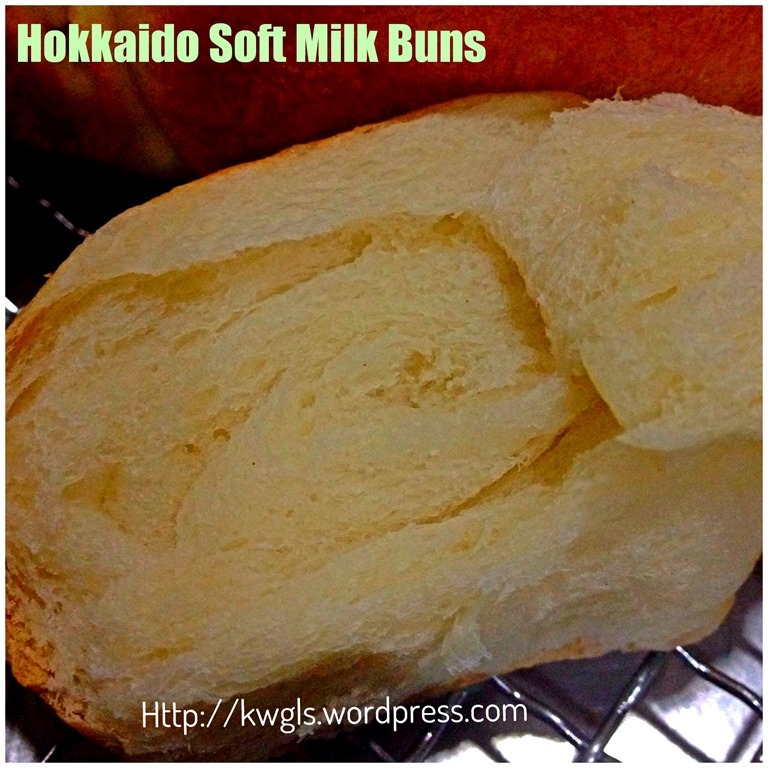 Some even claimed to use the milk imported from Hokkaido to achieve that effect of softness. For me, I am just doubtful about some of the claims and wanted to testify about the highly talk about characteristics of this bread. It has been in my to do list to prepare the bread for quite a while and yesterday, after my two bakes (Gingerbread Man and Choux Pastry), I have decided to do my 3rd bake of the day for my family’s breakfast today. Yes, the bread indeed is softer than traditional bun. And if you analyse the ingredients closely, there were not much difference with the ingredients except the substitution of water with milk and butter or cooking oil with cream. Therefore, effectively, the softness come from the usage of more liquids and fats. The taste of course will be slightly more aromatic than traditional bread with some creamy milky flavour. The preparation do not differ much from the baking of other buns. I have prepared this using a stand mixer as I do not have a bread machine. However, if you have a bread machine, just use the dough function and to knead the dough.. Since I have always underutilize my chiffon cake tin, I therefor decided to use the tin for proofing and baking the bread. If you wish, you can use the loaf tin and follow the different set of instructions detailed towards the end of the recipe. 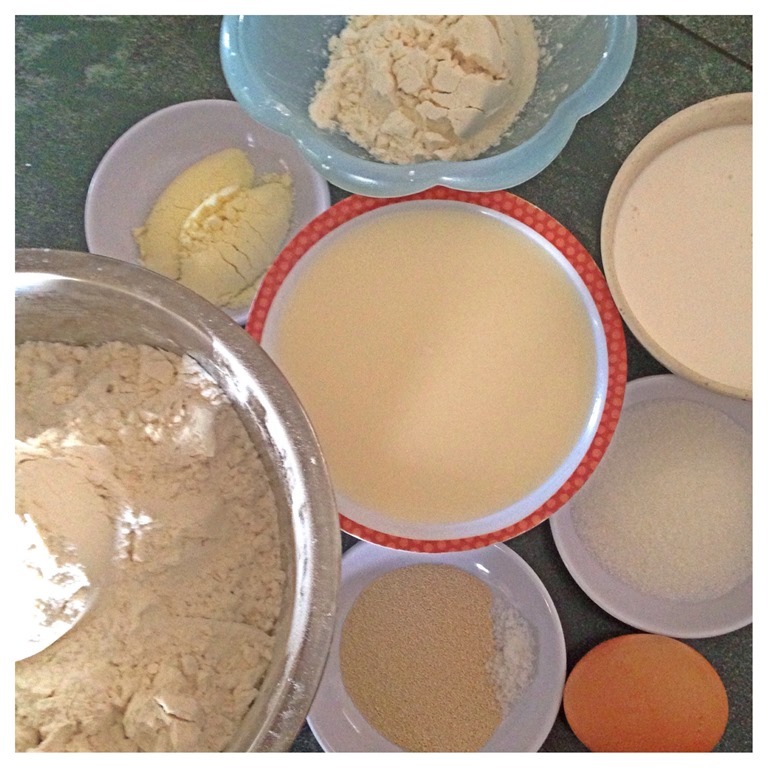 In the flat surface dusted with normal or bread flour, take out the dough from the mixing bowl and slightly knead it using hand for 1-2 minutes and shape it into a ball.Lightly oil you mixing bowl and place the ball in the bowl. Cover with damp cloth or cling wrap (to prevent moisture loss).Leave it to proof until almost double in size. This should be about 30-45 minutes depending on the day’s temperature. Take the dough out, punch into the dough to let any trapped air escaped. 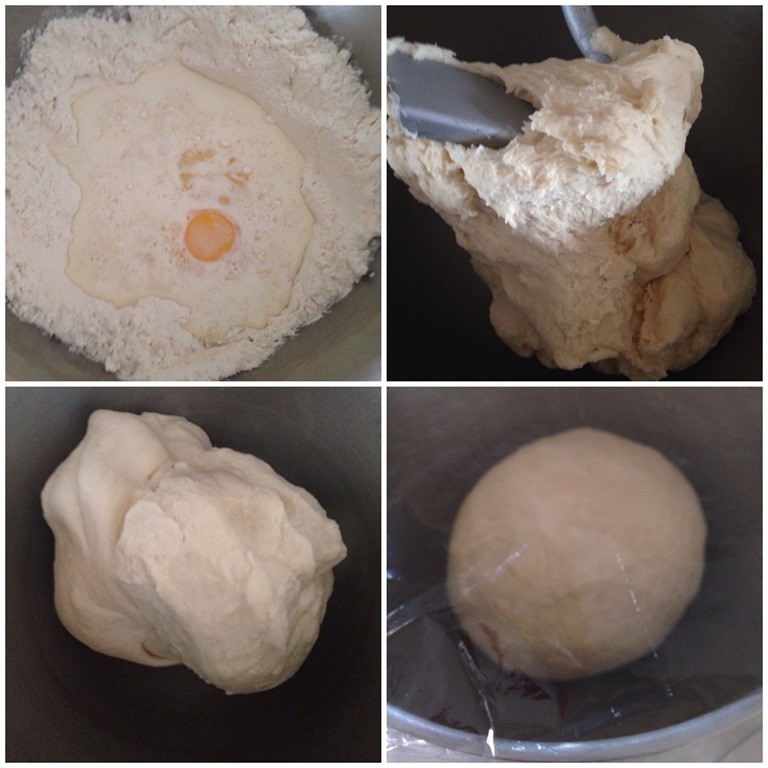 Knead for one minute and divide equally according to your desired ball size. 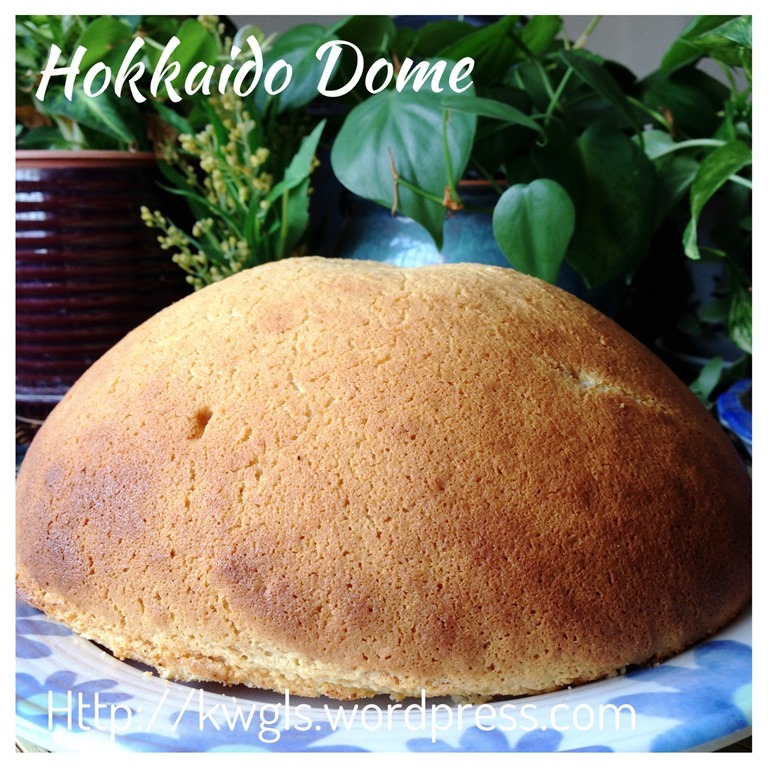 (For this illustration, I have used a chiffon cake tin and I have shaped 7 balls of about 100 grams each. For the remaining I have divided into 16 equal balls and placed them in a 6’’ x 6” baking tin.) Place the balls into a lightly greased desired cake tins. Cover with wet towel of clingy wrap and let it proof until it double in size. It took me about 1 hour 15 minutes but you can let it proof slightly longer until you have the time to bake it. Egg wash the buns and baked in the oven for 20-30 minutes or when the fragrance of the bread starts to permeates the house. If the top start to turn brownish too soon, turn off the top heat. 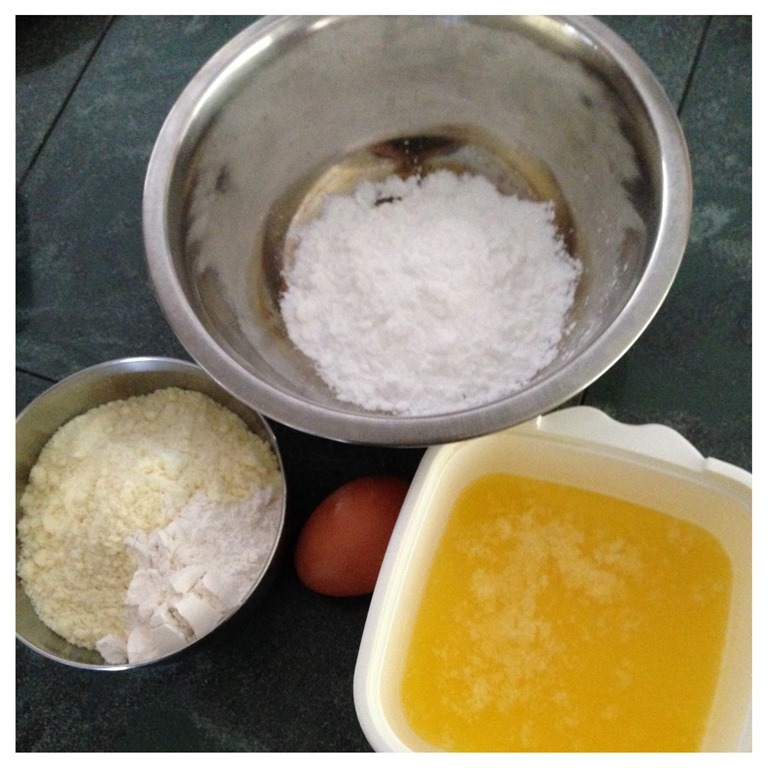 Egg wash – Crack one egg yolk and mixed with 3 teaspoons of water and 2 drops of oil, slightly beat and sift into a small container, use a brush to brush on top of the surface. The purpose is to let the buns looks shinny and golden brown. After the first proofing, shape the dough into a long rectangular shape following the shape of the loaf tin. Let it proof until the dough reaches at least 75%-80% the height of the loaf tin. Baked in the pre-heat oven of 200 degree Celsius for 30-45 minutes. 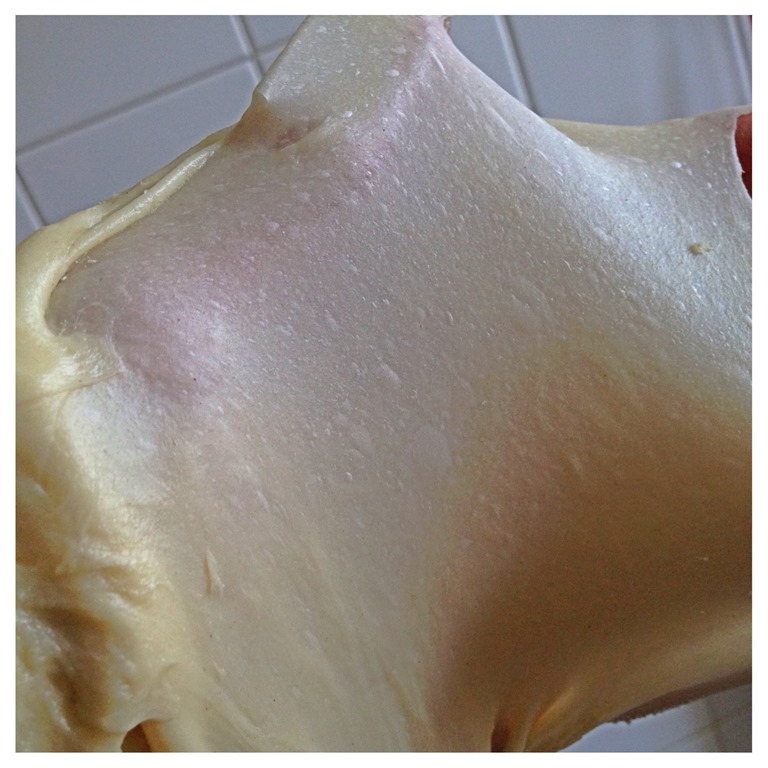 Bread dough – Please use half of the recipe as per above. 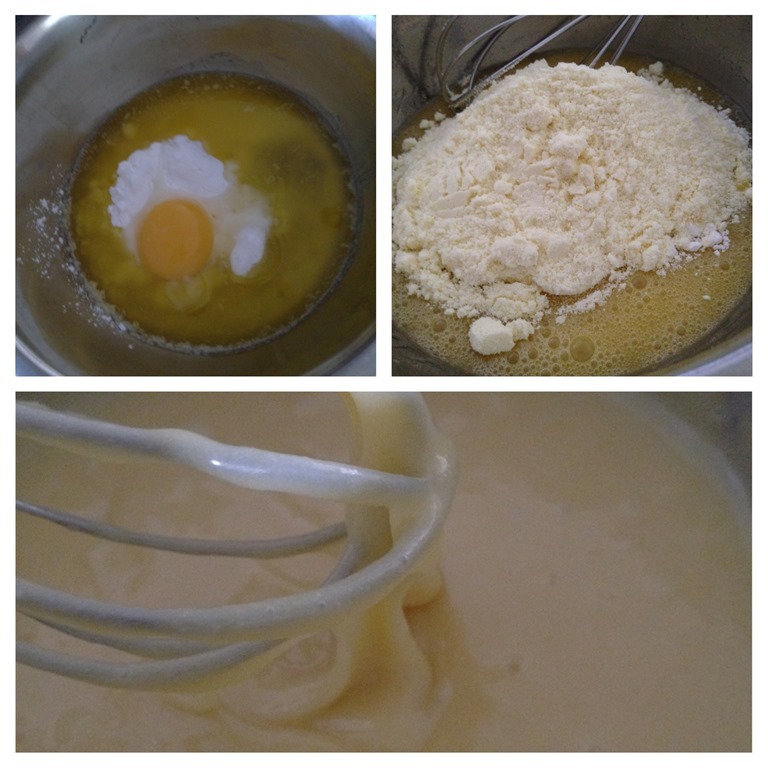 Put sugar, melted butter and eggs in a bowl. Whisk until well combined. Add in the sifted flour and milk powder. Stir until well combined. 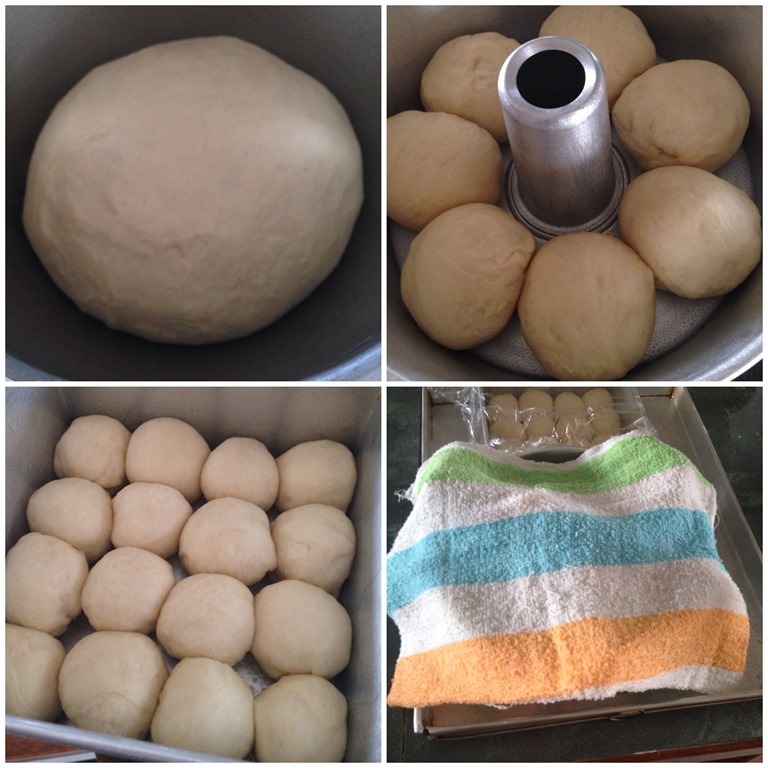 Please follow the above for the preparation of bread dough. 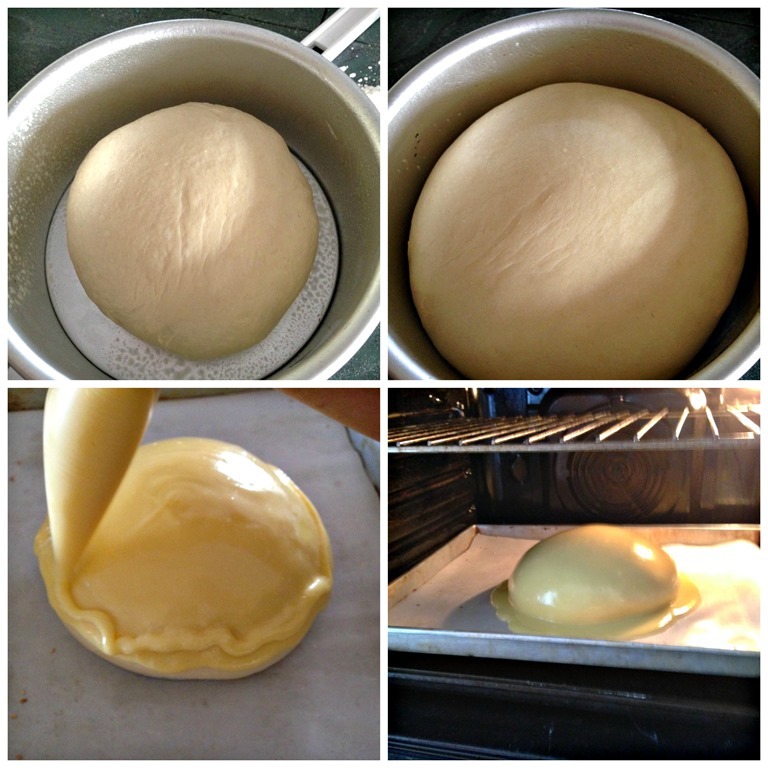 After first proofing, shape the dough into a ball and place it in a baking tray or baking tin. Let it proof until 2-2.5 size the dough size. Pipe the toppings on top of the proofed dough and baked in the oven for 25-30 minutes or when a skewer inserted comes out clean. Place the dough at the lowest rack during baking. 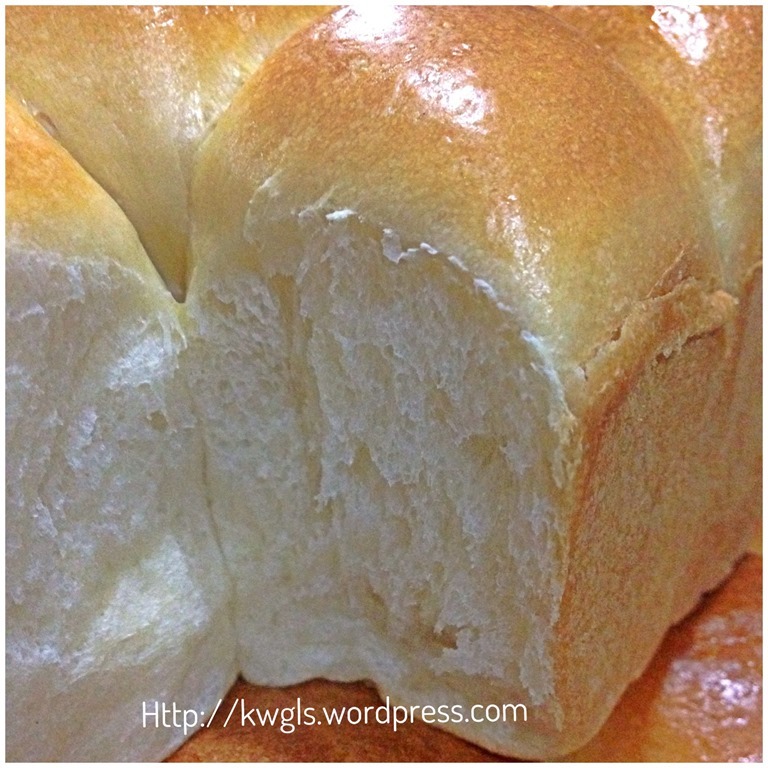 This loaf is moist and soft and if you are preparing some bread for yourself, you should try preparing this much talk about recipe. It is no difference with other bread recipes but the cream and milk have the effect of enhancing the fragrance and texture of the bread. 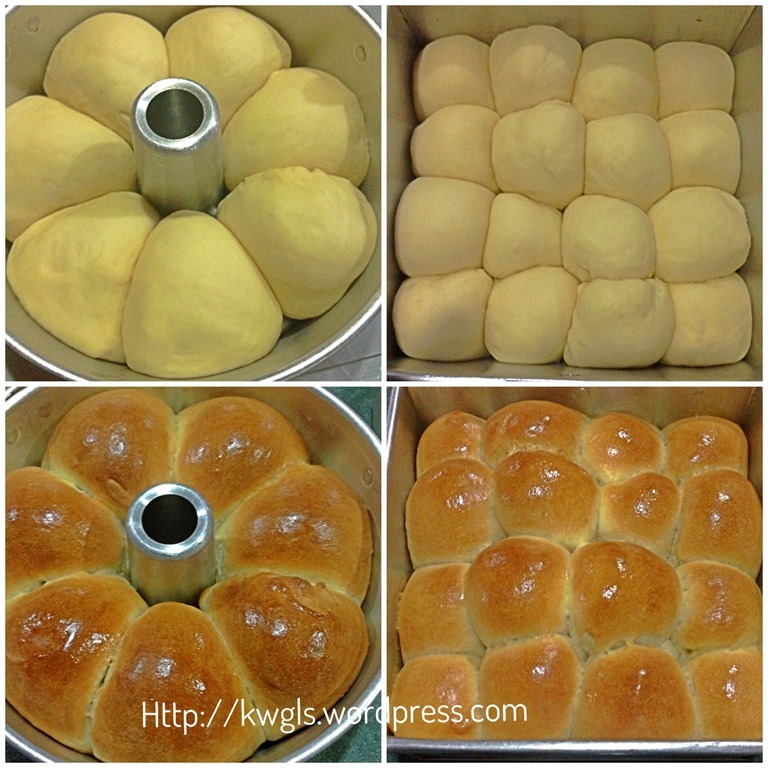 As far as my family is concerned, we can just having these simple plain buns without any breakfast spreads. Possibly in my next attempt to prepare these buns, I will increase the sugar quantity to make it a sweet buns. Well, since it can be eaten as a plain bun, spread with butters and jams will definitely bring you to another level of enjoyment. 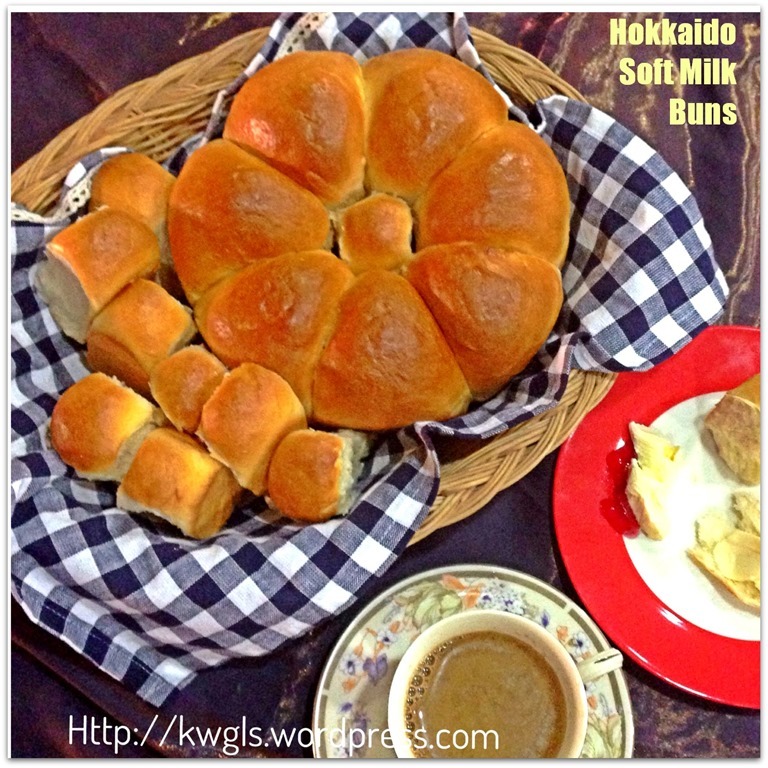 This entry was posted in Breads and Pizzas, Food Preparation Series and tagged 8, GUAI SHU SHU, Guaishushu, hokkaido breads, hokkaido dome, hokkaido milk loaf, hokkaido soft milk buns, kenneth goh, postaday. Bookmark the permalink. The buns sound delicious. 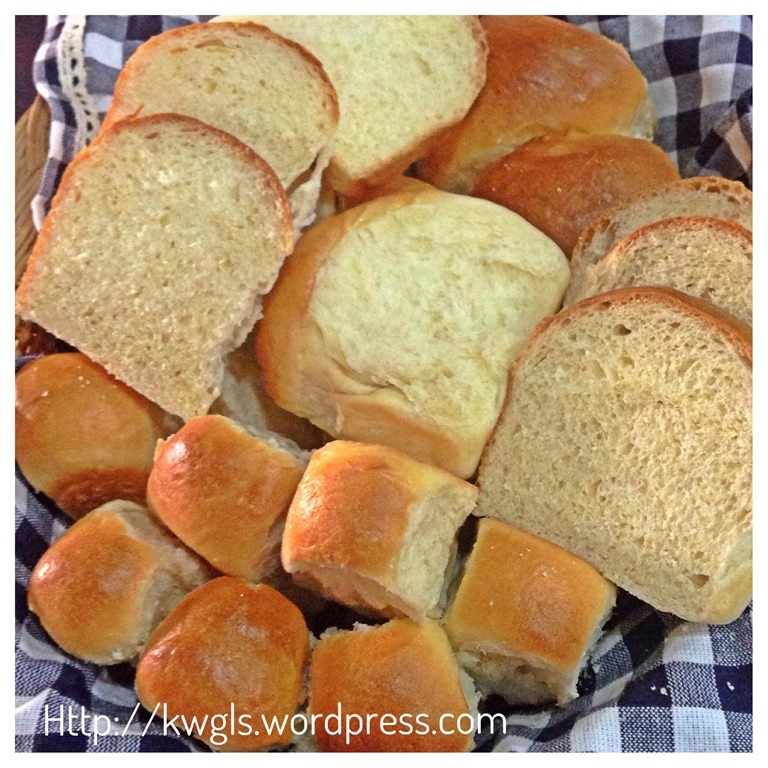 My favorite thing is homemade bread right out of the oven while it is still warm! Nice review and tutorial. They look great – my kids would adore them in their lunch packs, I think. I love bread! Especially fresh, homemade bread. Yum! Thank you for this fabulous recipe. I’m going to try it as soon as I do the conversions to oz. ;D Thank you Kenneth! Have a great Thanksgiving! Just used plain flour. Milk powder cannot be replaced by fresh milk but fresh milk can be replaced by milk powder and water. Do i use the same amount of water( if i were to replace milk with water). Will the bread not that soft if i sub it? I seriously doubt so.. it should be the same. 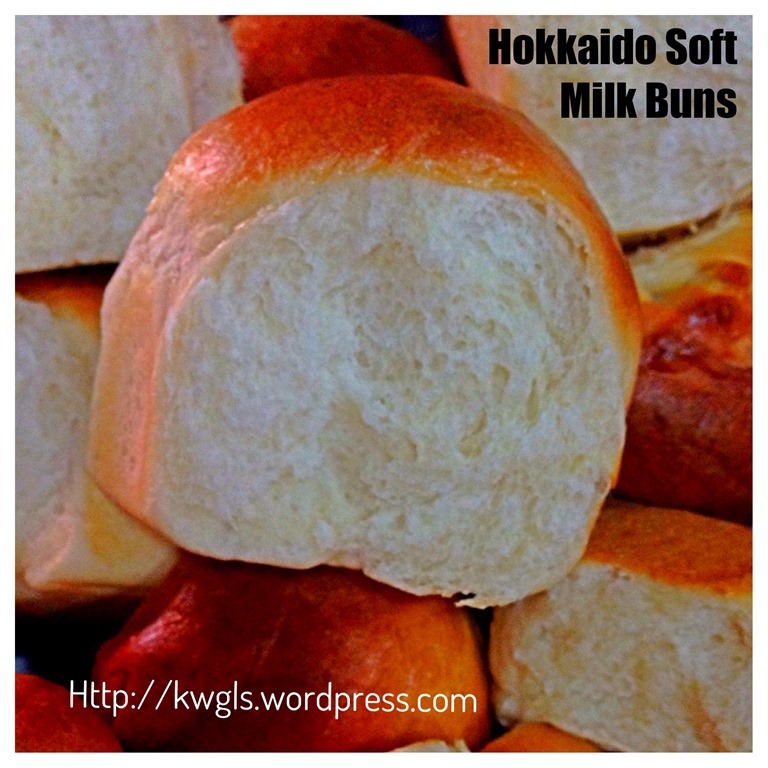 Hi Kenneth, would like to ask if I want to using tangzhong to make this hokkado bun, may I know whats the recipe if want use tangzhong. Thanks in advance. 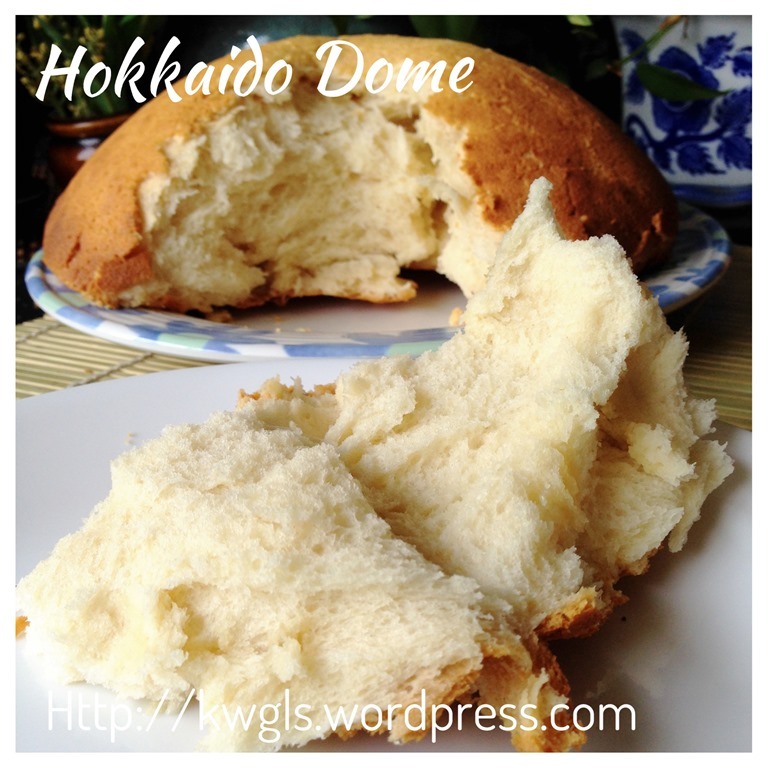 The first time I made this it was successful but the second time, the texture of the bread was rough and hard and the dough still sticks to the side of the bowl although it doesn’t break when you pull it apart. Same ingredients and method. I used plain flour both times. A strong yeast smell permeates the air. What went wrong, Kenneth? It looks like kneading are not smooth yet. Kneading should be done until it pulls from the bowl. If it is too wet, add tablespoon by tablespoons of flour…If it stick to the wall after proofing, there is a possibility that the bowl is not greased. Thanks for sharing this recipe. Its a good recipe to keep. I made the mistake to separate the dough into 800g and 400g as I didn’t want to overfill the pullman bread pan(13″ x 4″ × 4″) like my first loaf(1.6kg) but this was a mistake. Should have put all the dough in cause the first time it rise too much but this time it didn’t fill the pan. Fortunately it gives me a decent loaf. And the texture of the bread was good,too. Its soft and fragrant. The 400g dough I made it into smaller buns of 50g thinking I can get nice number…lol…but the buns came out a bit hard and dry even though I adjusted the temp to 180° and 170° subsequently. What do you think I can do to make it softer? Increase the size of dough or lower the oven temp further? And if I want to add chocolate chips into these dough when should I add it? During the 2nd proofing or when its about to go into the oven? Cant wait to try baking one. Btw, just to double confirm, the cream n milk r in gram or ml?? Hi Kenneth, would you buy the ingredient ‘whipping cream’ from grocer or make it? 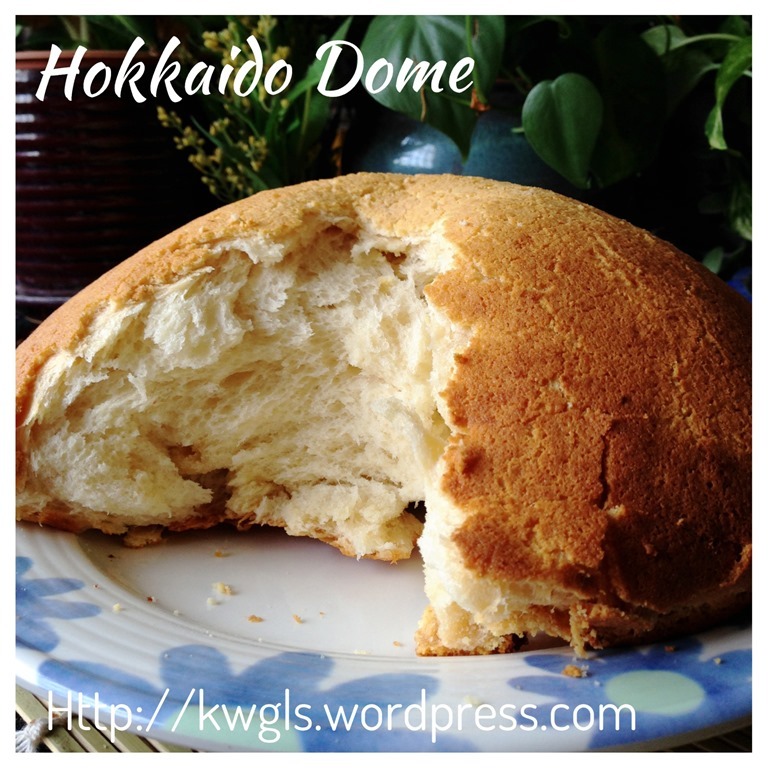 I am keen to try the Hokkaido Dome! I never homemade whipping cream. I usually buy it from the store.. but it should be fresh cream used for whipping. Hi, I am a vegetarian. How do I omit the eggs? Just substitute with 50 grams of milk.. I presumed you take dairy products. Thanks for all you recipe sharing! A quick question on storing dough. DoI freeze it after the first proofing?